Some of our favorite versatile bridesmaid dresses are trending this Season and we couldn't be more excited. What are they? We're seeing these bridesmaid dresses mixed and matched both between colors and styles that make for a totally unique bridal party. For instance, mix Charlotte dresses in prints and match Lolo bridesmaid dresses in solids. There are about a thousand different ways to create a bridesmaid dress look that is unique. And the best thing? They are 100 percent versatile! They go from bridesmaid dresses to wedding guest dresses to an everyday floral dress, sundress or honeymoon dress. A quick accessory change is the only needed. Shop all bridesmaid dresses here! 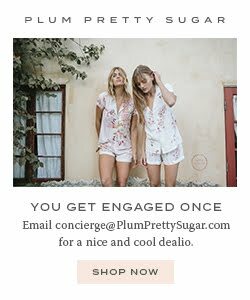 Shop Lolo bridal party dresses here! Shop Charlotte bridesmaid dresses here! Follow on Instagram for all the updates too you guys!